We are the leading manufacturers of Best Quality Cigarette Machine Endless Garniture Tapes and Suction Tapes, joint made endless while weaving. OUR's IS NOT A WELDED OR FUSED JOINT. Pure Nylon Woven Conveyor Belts, Transmission Belts, Bucket Elevator Belts, Check Straps and Picking Band for Under Pick and Over Pick Looms etc.,. We are in this line since 1976. Our Suction Tapes are Hand woven and made endless without any welded/fused joint and we are well appreciated for developing such a quality Suction Tape/Band. 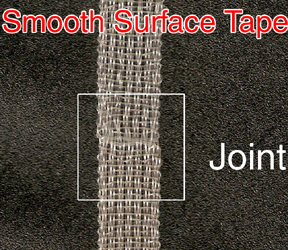 Life of the Suction Band developed by us is much more than any other quality Tape/Band. 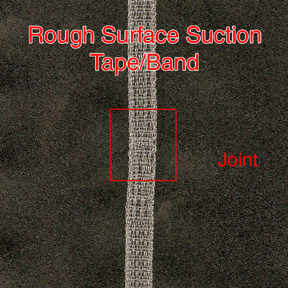 Samples of Kevlar Garniture Tapes and Suction Band can be had on request. We also manufacture Pure Nylon woven Bucket Elevator Belts and Transmission Belts. Life of which is better than Rubber or any other type of belt. THESE ARE ABRASION RESISTANT BELTS. Our Pure Nylon Woven Lifting Belts and Interwoven Nylon Pure Nylon Pull Cords are famous in Forging Industries in Friction Drop Hammers as the life of our belt is much more than double because of its quality. We manufacture Pure Nylon Check Straps for Under Pick Looms and Picking Band for Over Pick Looms. ALL OUR PURE NYLON MADE PRODUCTS ARE ABRASION RESISTANT. THE TREATMENT GIVEN MAKES THEM ABRASION RESISTANT. We can develop any item as per customers design and desire. consumer's satisfaction is our strength.